There are lots of color techniques for your hair, one of the most popular is ombre. Ombre usually features hair that blends from a dark color to a light color. There are so many stylish ways to create the ombre look from vibrant colors to classic blonde shades. Most of the time, ombre is used on long hair but it looks amazing on short hair too! Short hair looks so trendy with a flash of color. 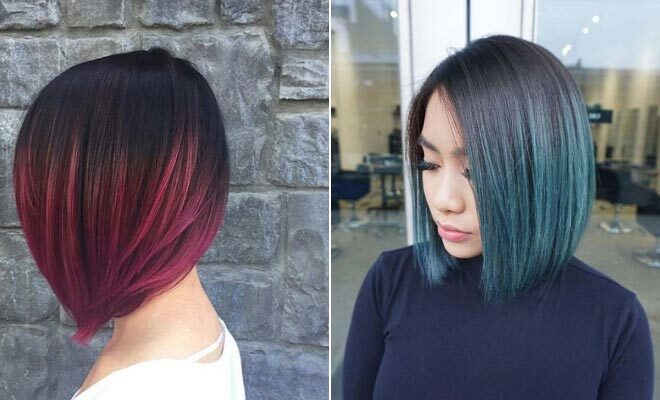 To show you how cool it looks, we have put together 23 of the best short ombre hair ideas. There is a gorgeous hairstyle for everyone, so take a look! 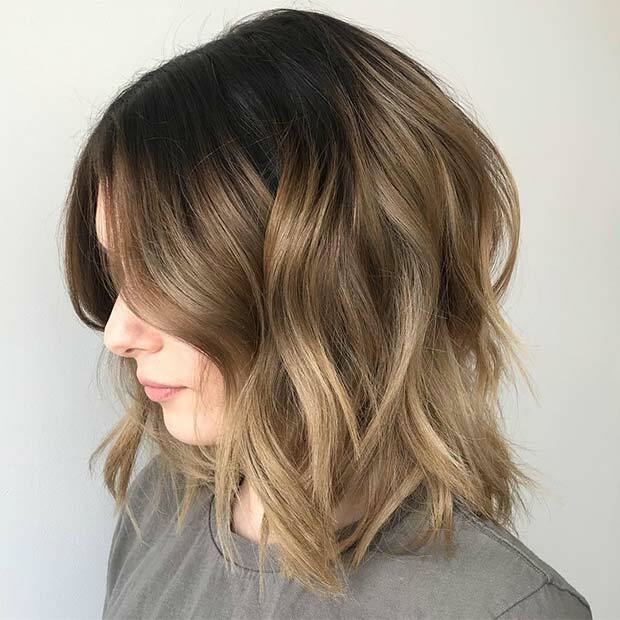 Let’s start off with this gorgeous ombre bob. The hair is short, sleek and trendy. 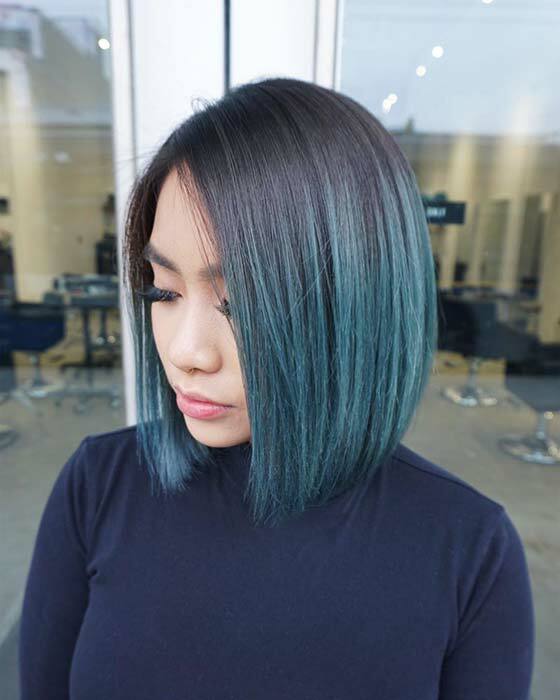 There is an ombre blend of a dark grey tone with a beautiful blue shade. Hair like this is perfect for the ladies who want a bold hair makeover. A blue like this will work with any root color too, from black to blonde. Next, we have a pretty and bright ombre style to share with you. The hair is a dark with an added peachy tone. We love this hair idea because it is super stylish, the bangs are beautiful too! You can recreate a similar hairstyle to this or try straight hair. Peach would also look cute with other colors. You can pair it with you natural blonde hair, too. A popular color used in ombre styles is purple. Here we have a beautiful example. 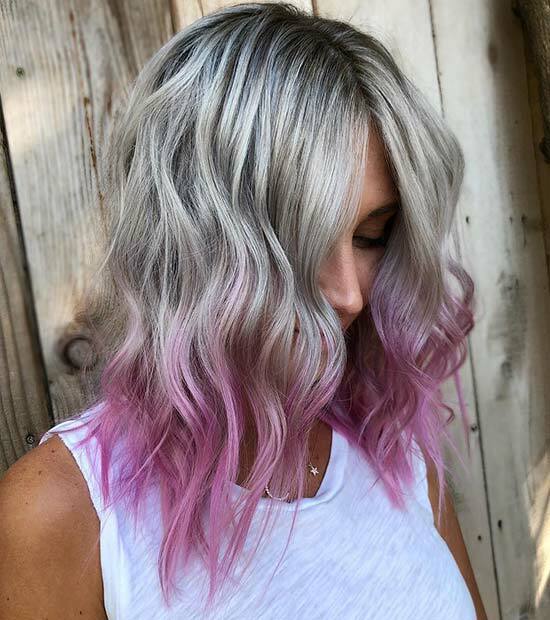 The hair is icy blonde with a light, pastel purple applied to the ends. A hairstyle like this is great for anyone who wants to try a bright and bold color that is easy to maintain. You can let the color grow out or have it reapplied. This works with other shades too. Our next idea shows a trendy way to rock ombre with a very short cut. 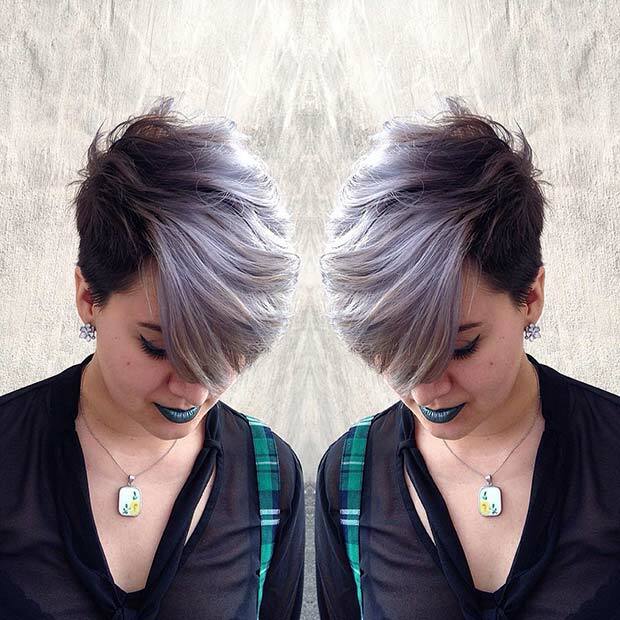 The hair is dark and then towards the front, the hair blends into any icy grey shade. This is an amazing hairstyle that will suit anyone. Recreate this look or try the same haircut with a different bold color. If you are looking for a subtler ombre hairstyle, this next pick could be for you. For this look the hair is dark at the root and then blends into light blonde. This is a chic and easy to wear hair idea. It will suit everyone. You can create a similar look to this or use a brighter blonde shade for a bolder hairstyle. 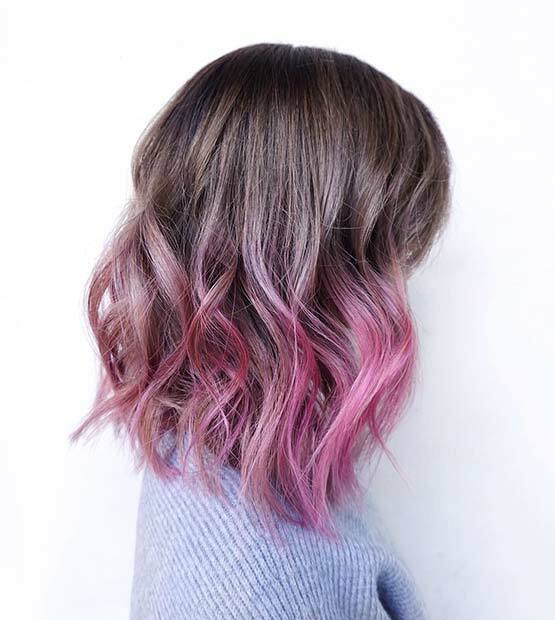 Another must-have ombre shade is pink! Pink is a cute and pretty color that never goes out of style and here is a chic way to wear it. The hair is a darker color at the top and then midway the hair turns into a soft pink. This is a gorgeous hair idea that will suit everyone. Looking for a bold new hairstyle that will wow? Then this next hair idea is for you! 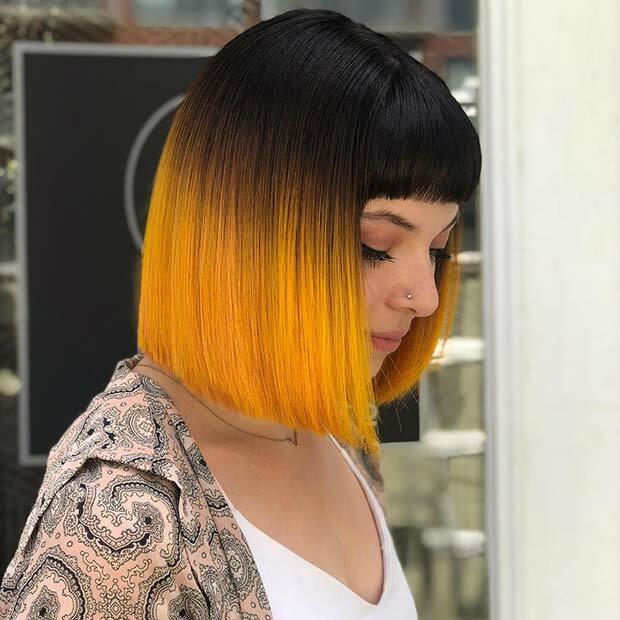 This hairstyle features a sleek black bob with an added vibrant yellow tone. This is such a trendsetting ombre look! You can recreate this hairstyle or try the sleek bob with a different statement shade. Copper is a gorgeous color choice for hair. Don’t just take our word for it, check out this short ombre hairstyle. 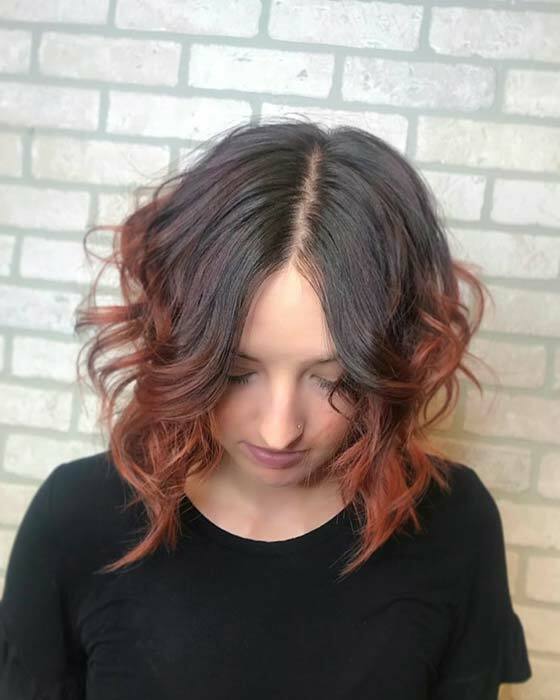 Here we have short curls with a dark brown root color, then midway a warm copper shade has been added. Hair like this is perfect for any season, but especially the fall and winter as copper is a must-have for that time of year. Our next idea is modern and trendy. 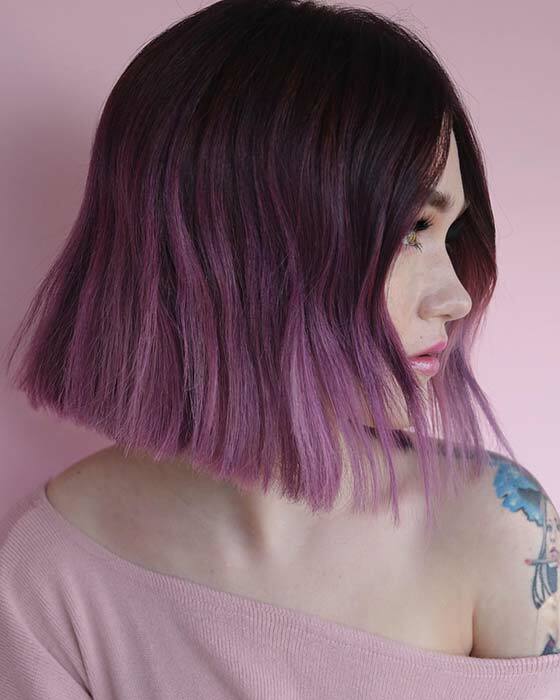 This hairstyle features a short bob with a gorgeous purple ombre look. We love this hairstyle because of the shape and cut. A hairstyle like this is great for the ladies who like to stand out from the crowd. 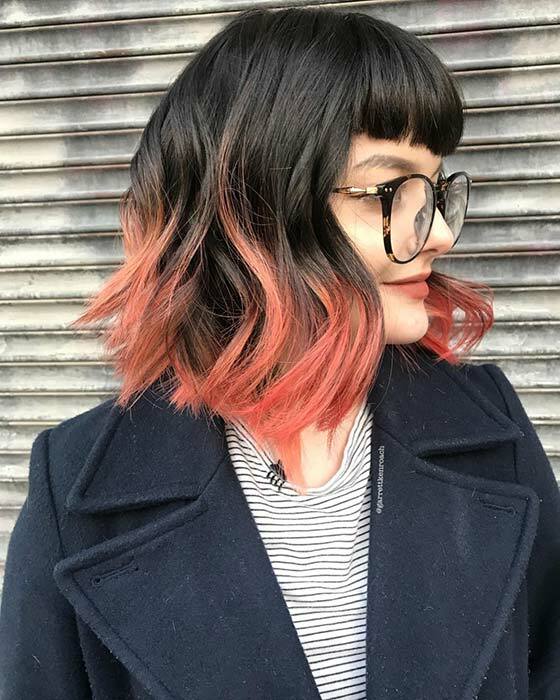 Spice up your look with a fiery ombre like this! 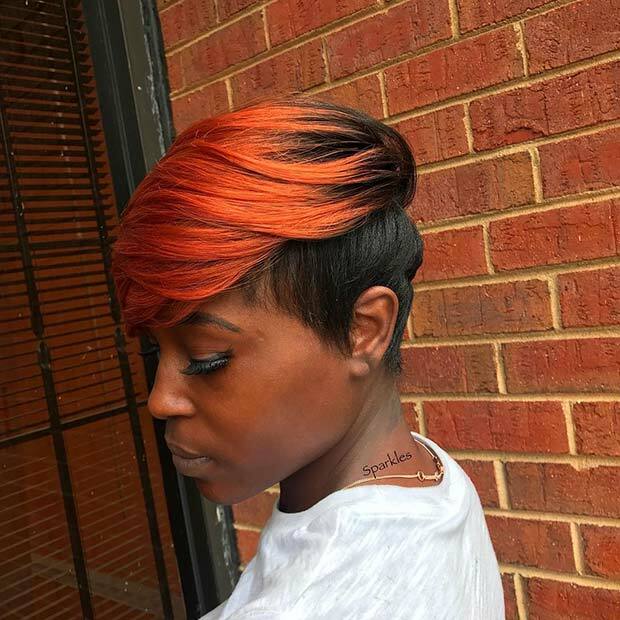 For this ombre hairstyle, the hair is very short with a beautiful red and orange blend. This hair idea is just stunning! You can recreate this short look or try a similar color blend on a longer style like a bob.